Teaching the 12 year old mind how to handle the highs and lows of the game is incredibly challenging, yet it is vital in molding self confidence and self esteem. If you have coached middle school aged kids in baseball, or any sport for that matter, you will probably agree with what I’m about to say. Coaching 12 year olds is one of the most challenging, yet rewarding experiences out there. Let’s talk about the challenges of the game at this age first. The pitchers start throwing harder, they learn some off-speed pitches, and suddenly hitting becomes much harder. On the flip side, some kids hit their growth spurt, and look like they need to shave. When they connect on a pitch, the ball starts flying out of the yard. The field size goes from 50 / 70 to 60 / 90. And boom, you are in grown man baseball, yet many 12 year olds might not be in their grown man body yet. Add in the pressures of making the middle school team, figuring out how to fit in at school, and of course, girls. There’s a lot going on at this age! That leads us to the 12 year old mind. God help me to figure this intricate, yet confusing piece of hardware out. One Sunday, everything is right in the world. The next week everything is wrong. Why you ask? Could be a girl at school, or as simple as their little brother annoying them in the dugout because he got a snow cone and they didn’t. They can go from being the hero in one game, and the goat in the next. At 12 years old, self esteem and confidence are short lived. Thus the reason it is absolutely vital that today’s coaches continue to encourage through the journey, and realize you are teaching more than the game of baseball. 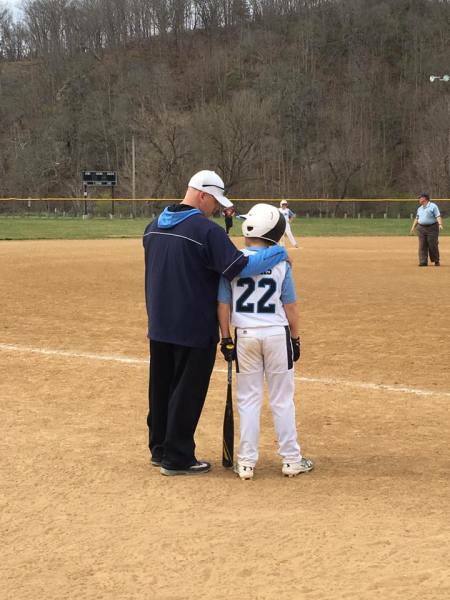 The joy of coaching a game you love is why so many enter into the world of youth sports. Giving back that experience you had in the game is just part of it though. I’ve found that in my experience, the 12 year old needs more of a confidence coach than a baseball coach. He’s a unique creature that can turn from all smiles, to on the verge of tears and self doubt in one at bat. And then out of nowhere, boom…………..there’s that attitude! Yep, every parent of a 12 year old just smiled and said, amen to that one. He gets three hits one game, and then strikes out looking, and begins pouting like he’s 0 for 30 with 30 strikeouts. Have seen it many times. That is what makes baseball one of the great games for our youth. They need to fall. They need to experience the unique thrill of a game winning hit, and then learn that failure is never far behind. The amount of joy you feel when you connect on a pitch to help your team win is one of the most exciting feelings you will ever have in sports. Winning a championship as a team, is even more addicting. Once you achieve it, you will want it more and more. Except, the game becomes harder and harder for everyone as you grow older. Baseball is one of the most humbling sports there is. Teaching the 12 year old mind how to handle the highs and lows of the game is incredibly challenging. They want to believe in themselves so much, but they just haven’t had enough failure to understand that it is normal. They doubt themselves at every turn. That’s why it is so important to coach the mind as much as you coach the game. In my experience, the 12 year old baseball player just wants to make his parents proud and his coach happy. They feel so much pressure to be good, that sometimes they can’t relax and just have fun. The harder they press to be perfect, the tougher the game gets. Teaching young players the game of baseball is obviously very important to their development, but teaching them to believe in themselves and their potential should always be a top priority. The game of baseball provides so many opportunities to teach our sons about learning to overcome failure. Those strikeouts and errors are the true teaching moments. 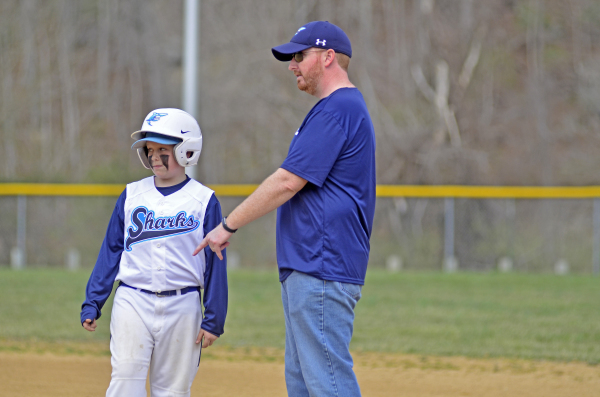 Providing honest feedback along with encouragement is crucial for parents and coaches. As parents, the excitement of your son doing something awesome on the baseball field is amazing. It can be as addicting for the parent, just like it is for the young ball player. As much as we all want our sons to be successful, it’s actually the failing on the field that provides the best teaching moments. Just as the coach must do, parents need to embrace those moments where they stumble to provide honest feedback. If they messed up, make sure you don’t sugar coat it. Be honest with them, and then always end the conversation with encouragement to keep working hard. They need to know they aren’t alone in their failures, and that everyone on the team is going through the same thing. That confidence is reinforced by successful moments, but having positive constructive feedback and encouragement from their parents is crucial. The job of the 12 year old baseball coach is to help their young ball players see what they can be down the road. It’s not about today, but that doesn’t mean today doesn’t matter. The journey does matter, and every step of the way, there are opportunities to learn and get better. I’m extremely tough on things like giving full effort, playing with passion, and teaching our young players about having a team first mentality. We don’t give an inch on those things, and no coach ever should. It takes zero talent to give 100% effort. If you play the game with passion, your athletic ability will be on display. If you care about your team more than yourself, you have a chance to be part of something special. Teaching them the game properly is obviously very important, but there’s so much more to molding young players than that. They need a baseball coach, and they also need a confidence coach too! If you jump into the grill of a 12 year old for not hustling, or pouting after a strikeout, it’s equally important to make sure at the end of the day you put your arm around them and tell them how excited you are about their potential. As they grow older, they will be expected to handle that failure better. The quicker they get to that point the better. It’s ok to be demanding, raise the expectations, and the standard of excellence. As their coach, you’ve been through the journey, but they can’t see what’s next. The focus has to be on their future and their journey through the game of baseball and life. They need to trust your vision for them. If you can see it, so will they. If you believe in them, they will believe in themselves. Now, about that attitude……...To be continued.